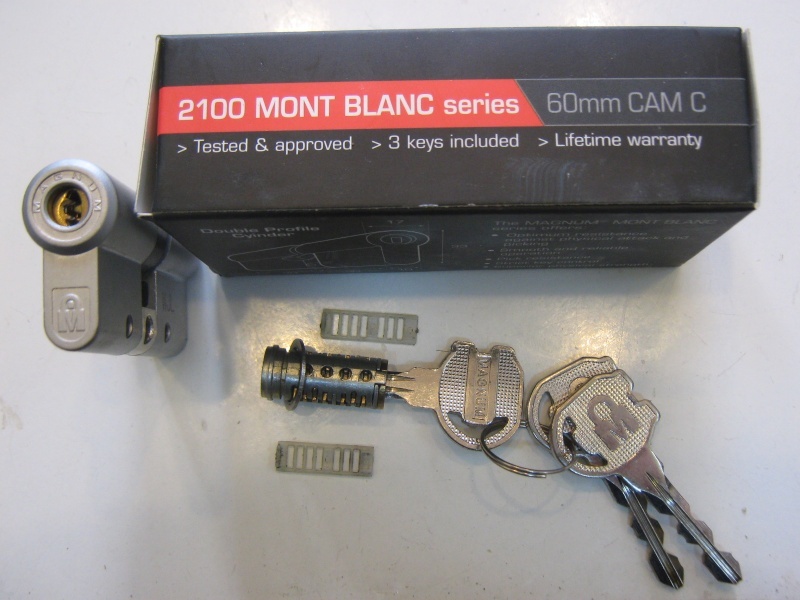 Here is a quick look on a new Magnum lock I got – Magnum 2100 Mont Blanc. 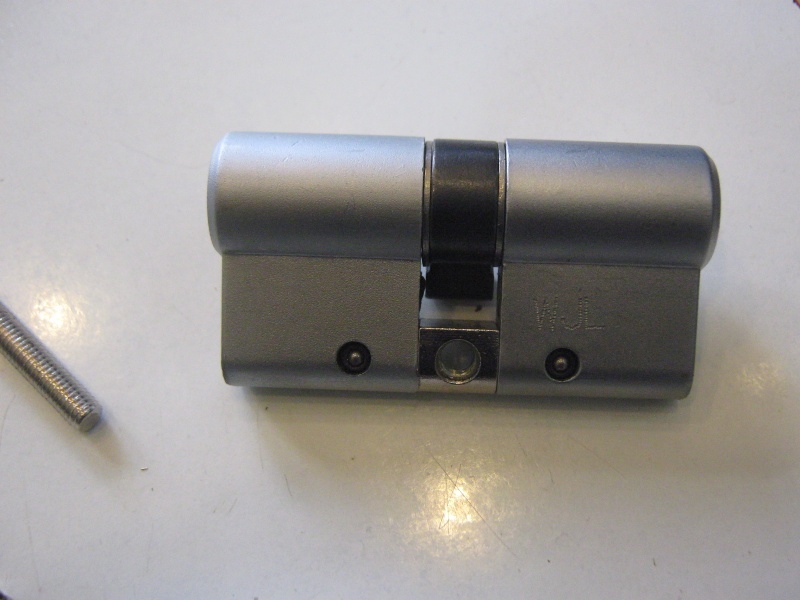 This lock has a very good design and some nice features but as with many other locks can be defeated within seconds. 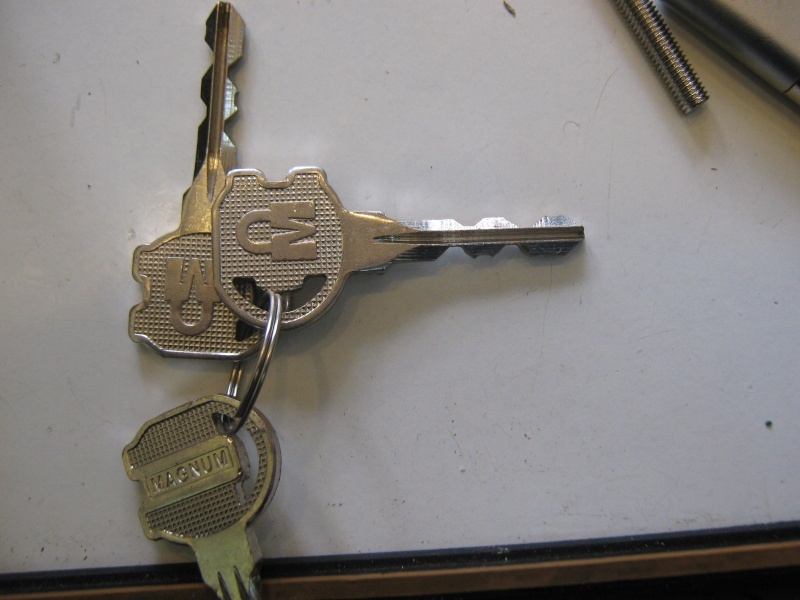 The key is a double-sided key and the lock contains 8 wafers and 4 heights . 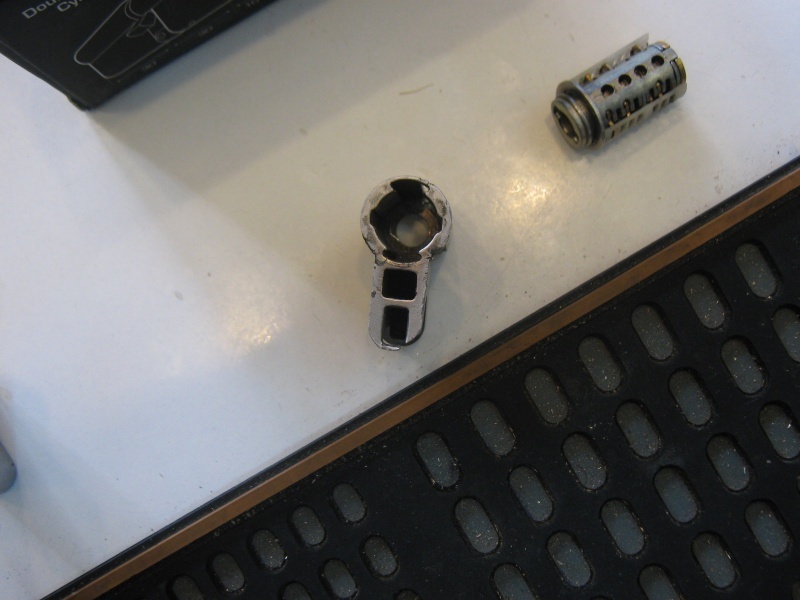 The middle wafer is an anti drilling one and therefore will not move. 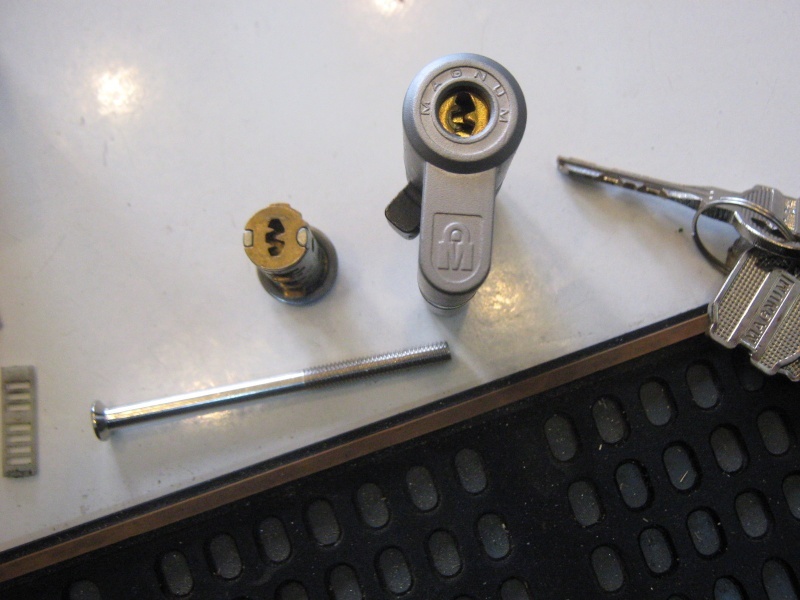 The plug sits within two plastic caps that hold the wafers when the key is not in. 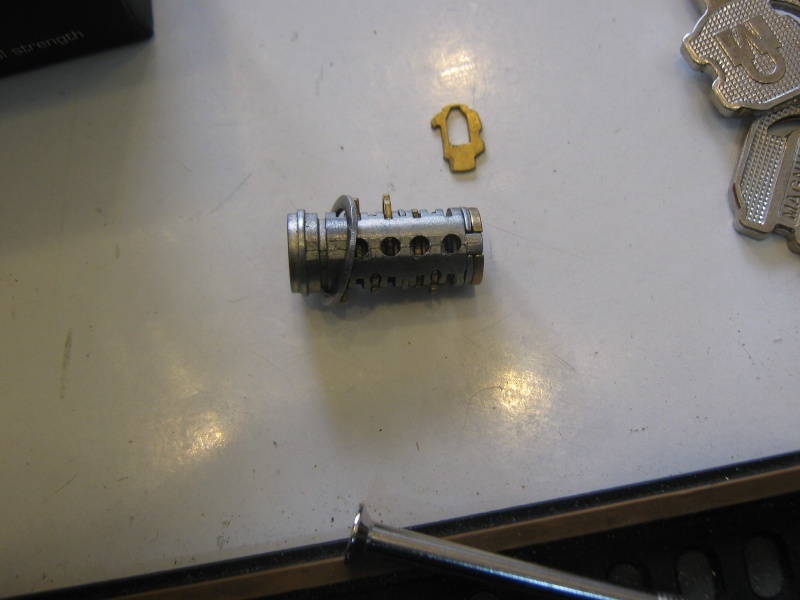 The core of the lock and the anti snapping system (which makes it very difficult to dismantle). 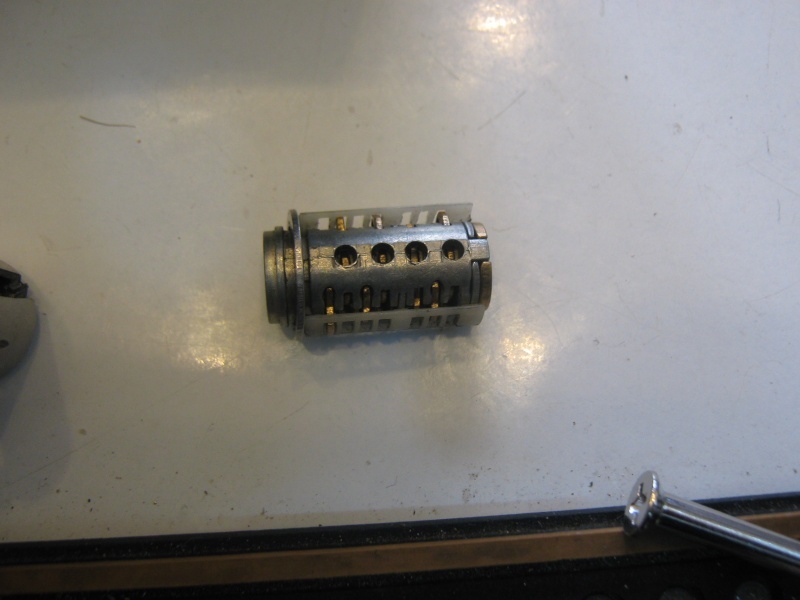 The lock was sent to friends in England and was picked but I don’t think picking is the best solution.